Beautiful townhouse right on the river! 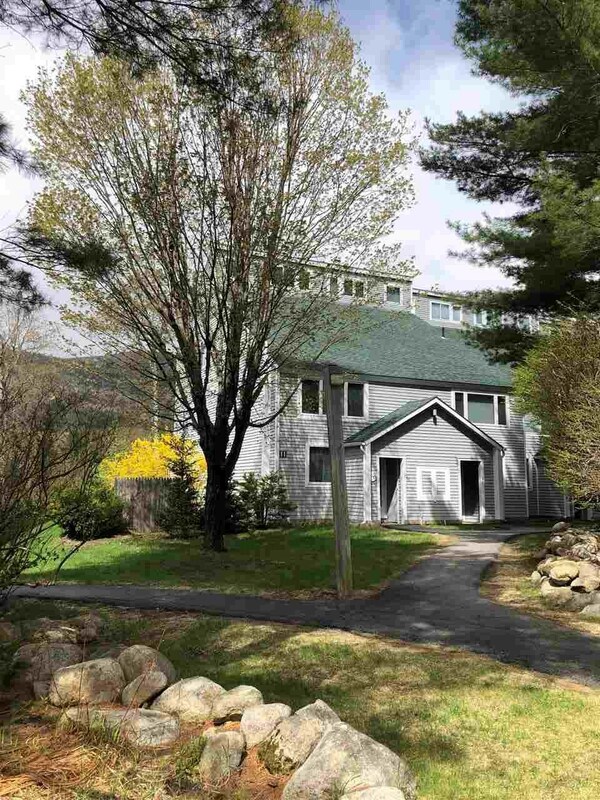 This spectacular location has outstanding views of both the mountains and the Mad River. This large exterior townhouse hosts 3 bedrooms plus loft, 3 1/2 baths, and has seen many improvements. As you walk into the spacious living area you immediately get drawn to the sliding glass door to take in the amazing views. Relax on the back deck, listen to the babbling river, while watching the sunsets. Wood-burning fireplace with stone surround accentuates the living area. The master bedroom adjoins the nicely renovated master bath. Another large bedroom and renovated full bath, along with laundry area complete the second level. Huge loft for lots of sleeping space or another living area. Centrally located on the Valley floor with an easy walk to the x-country ski trails, mountain bike trails, golf course, White Mountain Athletic Club and the Town Square. This property has been BEAUTIFULLY maintained and is move-in ready! Comes with a transferable membership to the White Mountain Athletic Club. Buyer to pay $750 xfer fee and applicable annual dues.